Digital task cards in math class? How can I continue to use task cards when we are going to a 1:1 environment? 1) Use your task cards one at a time as entrance or exit tickets. 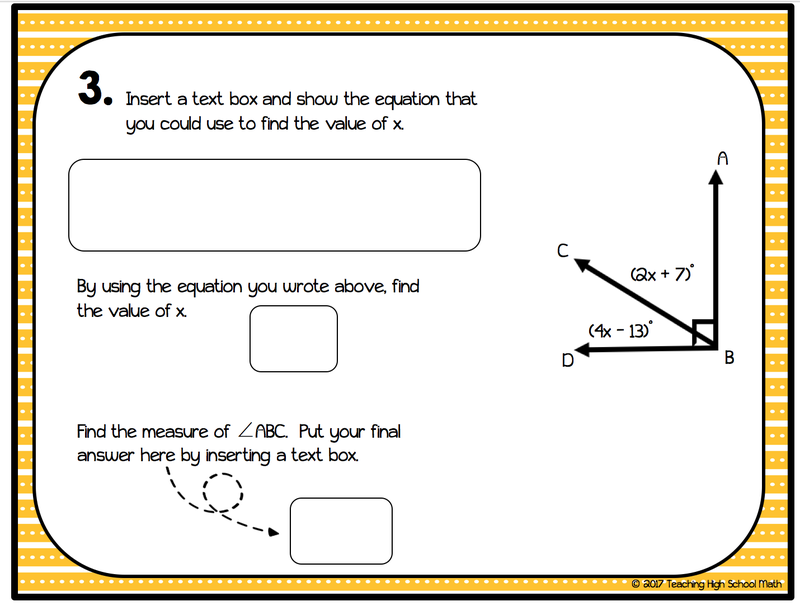 Here is a recent task card that I made for my geometry class. At first glance, this might seem like a regular task card you might hand out to your class. But, upon closer inspection, notice, that there are places where the students can insert text boxes to write an equation, find the value of x, and find the measure of a specified angle. 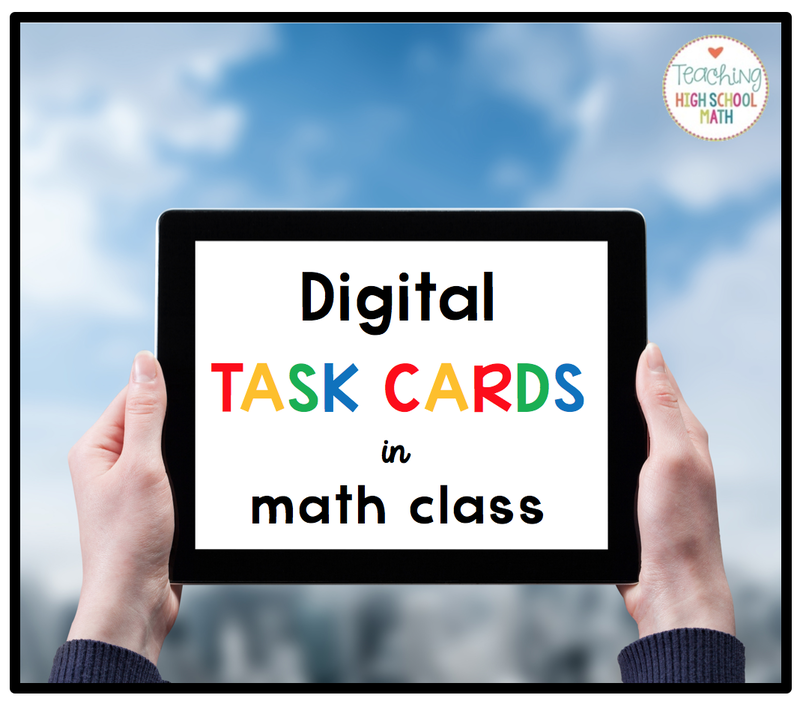 2) You can use your task cards with Google Forms. 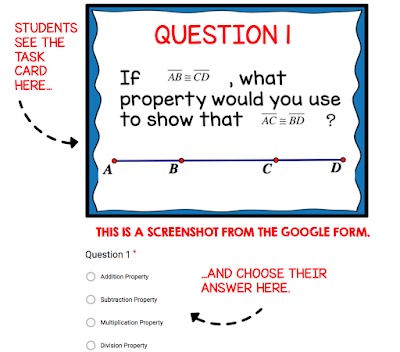 Here is an example of a Google form with a task card inserted. 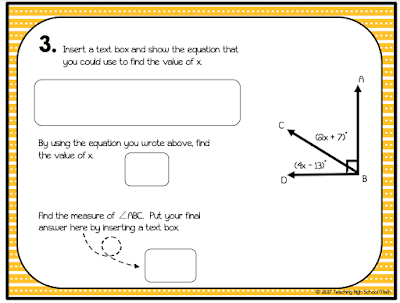 Students see the task card image as part of their question and then choose their answer below the card. You can make multiple choice questions or students can type their answer. This is even better than sending the students task cards one at a time because you get immediate data from Google! 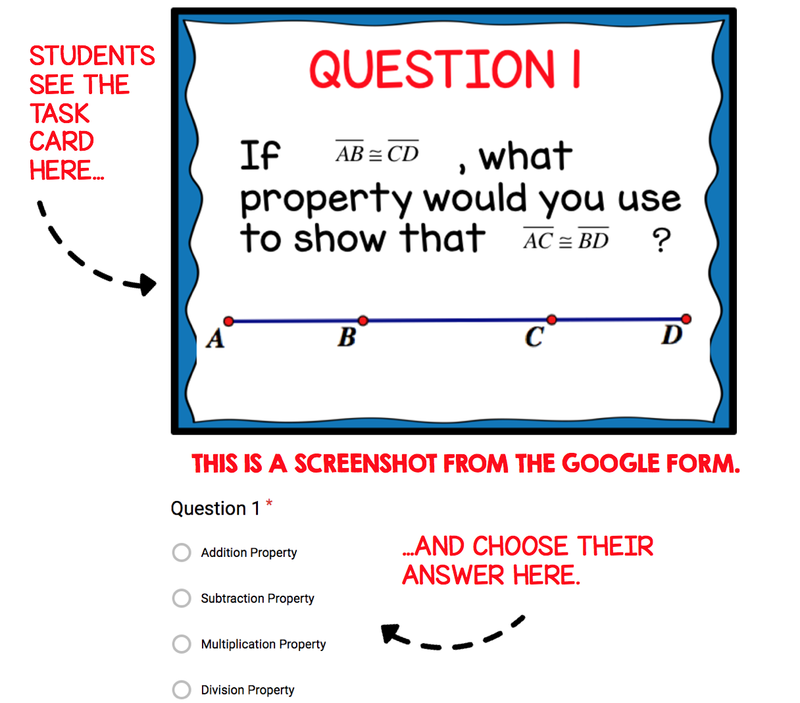 A great way to formatively assess students! 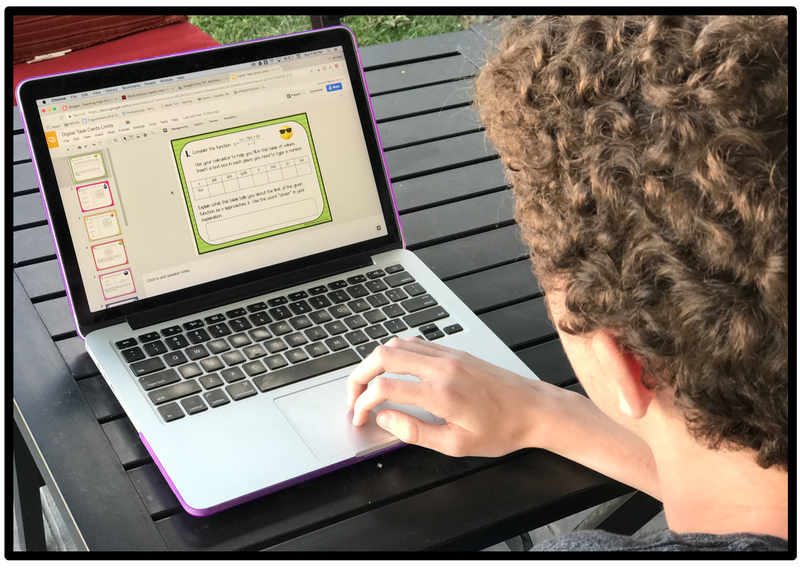 Just like anything else, task cards in a 1:1 environment have their place. Having the students write in mathematical notation is still a major stumbling block. But for now, I hope you can find a place to use these two options in your class.